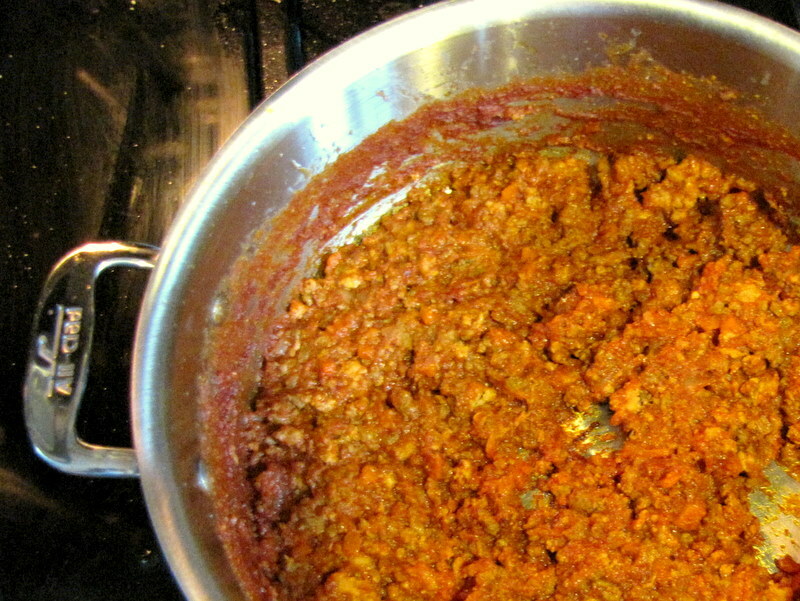 My tomato sauce has meat in it, but I wanted to try my hand at making a real, true bolognese sauce. So last week when I spent the day making sauce, I gave this recipe a try. It is delicious, rich, and probably something I’d keep to a winter menu. Melt butter in a heavy large pot over medium heat. Cook onion, celery, and carrots, stirring often, until tender, about 10 minutes. 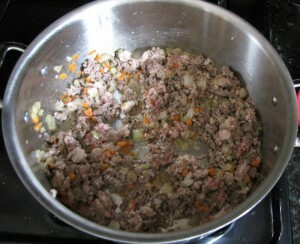 Add beef, pork, and 1 teaspoon salt. 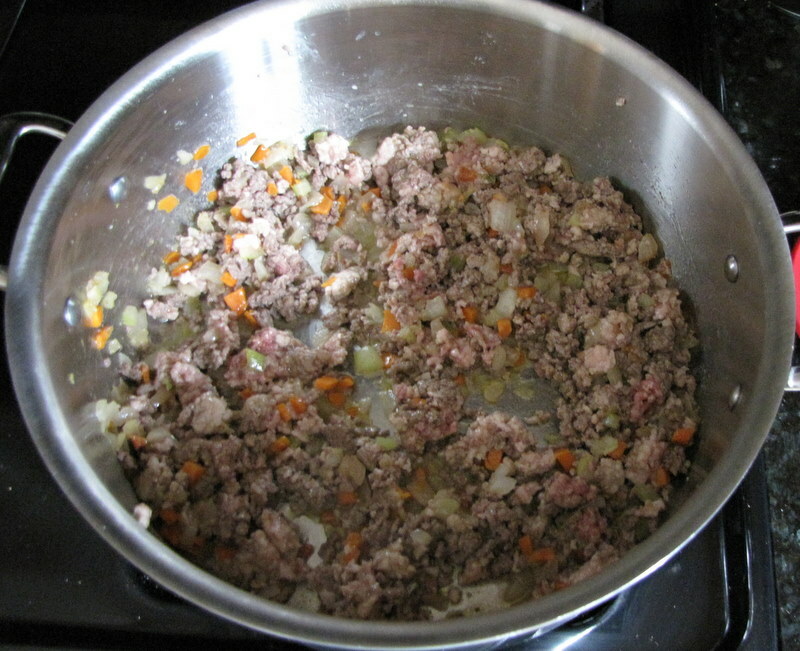 Cook, stirring and breaking up meat with a fork, until meat has cooked through but not browned, about 8 minutes. Add milk and nutmeg. Reduce heat to medium-low, and simmer gently until liquid reduces by half and meat is above liquid, 20 to 25 minutes. 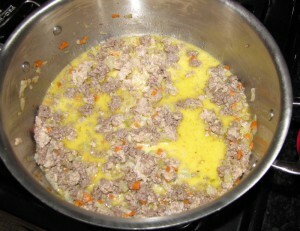 Add wine, and simmer gently until liquid reduces by half, about 15 minutes. 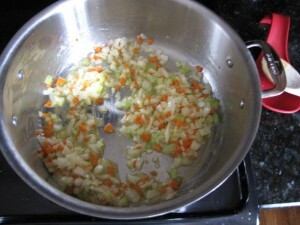 Add stock, pureed tomatoes, and 1 teaspoon salt. Gently simmer, stirring occasionally, until sauce is thick, 1 1/2 to 2 hours. Season with pepper. Let cool slightly. 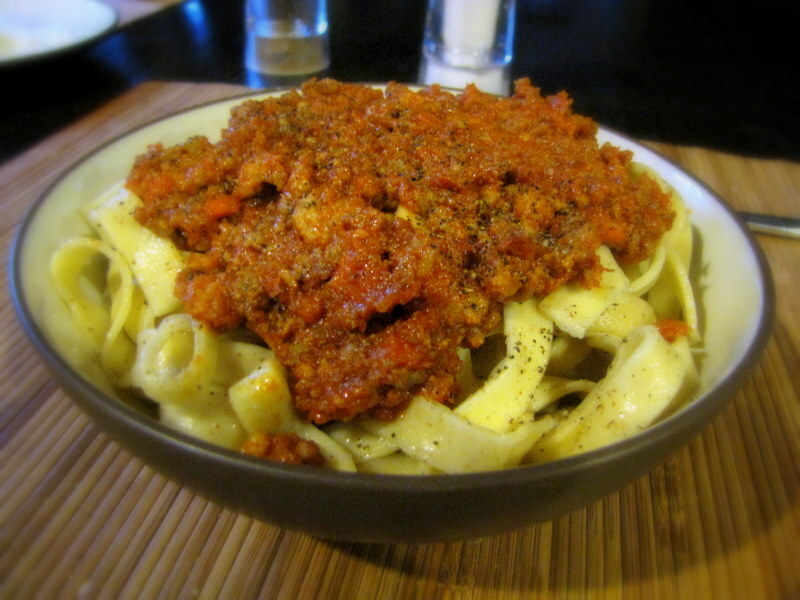 (**It’s really delicious over fresh, long pasta like fettuccine or tagliatelle).